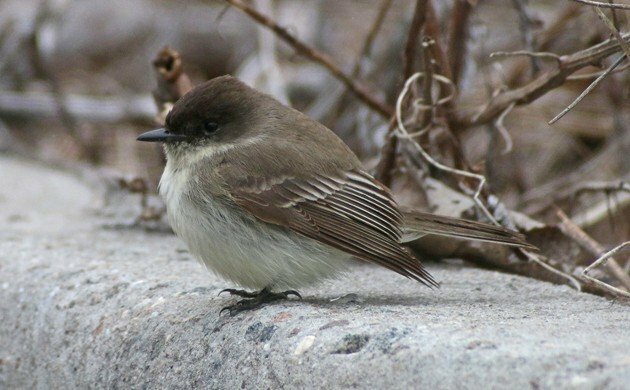 As I have for the last several years, I will now ask the same question of midwesterners and northeasterners that I ask every year: When did you see your first Eastern Phoebe of 2016? And was it late or early? I’ve only tracked dates for the past 6 years, but this year’s Eastern Phoebe is tied for earliest, at 3/15. Other years the earliest has been the first four days of April .Here in the Albany NY area things are ahead of schedule, but not by much – not as much as we’d like it to be, anyway. Having lived in Indiana only 4 years I don’t have much of a data set. My earliest is 3/10 and latest 3/22, with so an average of 3/14. This year was 3/12, so a little early. According to Brock’s Birds of Indiana the average date statewide is 3/19. Where Are You Birding This First Weekend of April 2011?